Having travelled around the world full-time since 2013, I always had to renew my Philippine Passport in Philippine Consulates wherever I may be. There is no way I would fly halfway across for this and why would I when I can always find a Philippine Embassy close to me to renew it? I have renewed my passport thrice abroad - one was in Kuwait in 2012 before I moved and work in Kurdistan, Iraq and twice since I started my long-term travel, first in London (UK) in 2016 and the next one is just recently in New York (USA) this August 2018. Has it ever happened to you that you’re traveling outside of the country only to find out that your Philippine Passport remaining validity is for less than 6 months? I always tell people to check their passport because this is very important. Beyond 6 months, our Passport is only good as an Identification Card. Some Aircraft Personnel wouldn’t even give you your boarding pass and if you’re lucky that they didn’t notice it, you’ll definitely have a tough time at the Immigration (good luck if they will let you out of the country). Worst case scenario: What if your passport gets stolen or gets damaged while you’re out on a vacation? Will you just sulk and cry?? Of course not! You have a flight to catch and you have a job to come back to! So for everyone traveling, always have a copy of your important documents on your travels. Also, here’s what you should do in case these things happen to you. Aside from giving aid to Filipinos in distress (which is what we usually see on TV) and visa issuance for foreigners, the Philippine Embassy’s role wherever you may be situated is to assist Filipinos with their official papers. This includes the Birth Certificate issuance, Translation of Documents, Notarization of certain documents, Registration of Marriage, etc. One of their most important roles is the Passport Renewal Services. Note that Personal appearance is MANDATORY. Once you have everything, you can now set an appointment or go directly to the Embassy if they allow walk-in applicants (call them or send them an email to ask about this). The fees are usually payable in the host country’s currency and must be in cash. The cost could also vary from one Embassy to another. Once you’re done with the application, they will give you a claim stub for the release. This usually takes at least 4-8 weeks. It’s so easy, right?? I think it’s even easier to renew it abroad than in the Philippines. Haha. In case of a lost passport, then you need to have a Notarized Affidavit of Loss and Birth Certificate or Marriage Certificate and any other documents like Drivers License, Baptismal Certificate, PRC Card, etc. This may also be applicable to people with emergency cases like death in the family, medical or legal emergencies, and other similar cases. Take note that you need to establish proof that your impending travel is an emergency. Remember, this can be obtained for a fee. 1) What if there’s no Embassy in the country where I am? Just look for the Embassy closest to your location. These Embassies has ‘Outreach Programs’ to attend to the needs of the Filipinos based in other countries with no Philippine Consulates. Find their Official Website or Official Facebook Page and ask about their ‘Outreach Program’. For example, in Djibouti, it is usually the Philippine Embassy in Egypt who does the Outreach Program. (This isn’t very often so I suggest you just ask them directly for a Travel Document and ask if it can be mailed to you). 2) What if I’m in a province? See answer above. For example, the Philippine Embassy in Paris usually have an Outreach Program in Nice to cater to the needs of the Filipinos living in the South of France. 3) What if my old passport was damaged? Then it will not be treated as a renewal. It will be treated as a new application. 4) Am I considered as the owner of my passport once it has been delivered to me? No. All passports are owned by the Government of the Republic of the Philippines. We are merely possessors thereof. 5) Can I change any details on my passport? It is possible but you need to provide supporting documents to justify this change. 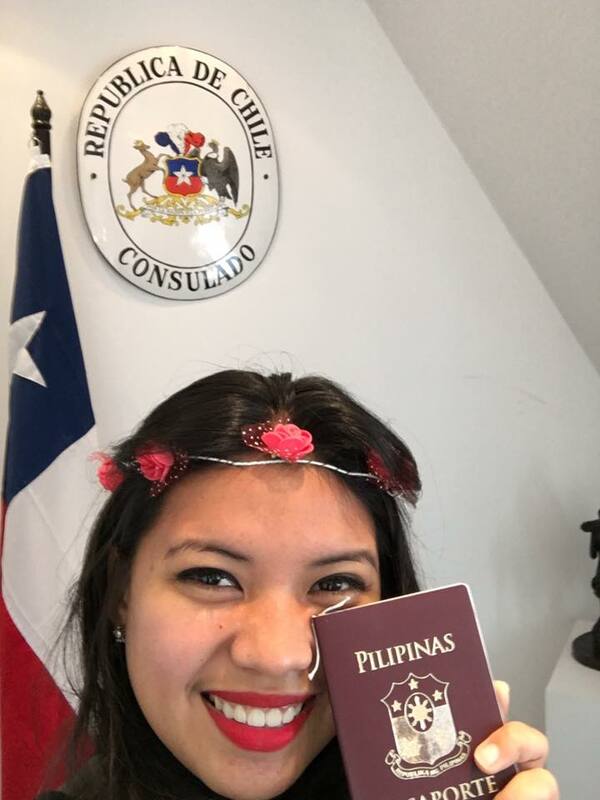 I changed my last name after I got married in the UK in 2016, so I had to bring our Marriage certificate at the Philippines Embassy in London, filled up an NSO document to register my marriage in the Philippines and also a change of my last name! It was an easy process. 6) What if the applicant is a minor? Additional requirements must be provided such as the Personal Appearance of the Minor AND either of the parents or authorized adult companion, Birth Certificate, Valid ID of the Parents, and school ID if applicable. Please check the Embassy Website for a complete and more detailed list. 7) Will my old passport be canceled once I apply for a renewal? As long as it is still valid, then it will not be canceled UNTIL you get the new passport. Once you claim the new passport then you have to bring the old passport with you so the Embassy official would cancel it! 8) Can somebody get my passport in my behalf? Sure but he/she needs to present the ff. Documents: His/her ID, Authorization Letter, Your Original Passport, and Claim Stub. 9) How do they cancel the old passport? By punching a hole on it. You can’t cancel it yourself, the Embassy staff will do it! 10) Can I still use my Old Passport if I have valid tourist visa in US/ UK/ Schengen? Yes, even you change your maiden name to a married name then you can still use your old visa on your old passport. Make sure to bring the old and new passport together! In my case, my US Visa with 10 years validity is on my first old passport so I always carry it with me everytime I travel to the US or anywhere around. Then I also have my 10 year UK Visa and Schengen visa on my recent one before the renewal. No questions asked at any immigration!